Medical Waste in Our Water!? Many terms are interchangeable with medical waste, including infectious waste and health care waste. Medical waste is created from the process of diagnosis and treatment of or the immunization of people and animals. It is considered infectious waste when the waste itself is contaminated with an infectious disease that can be transmitted from being in proximity of the item. 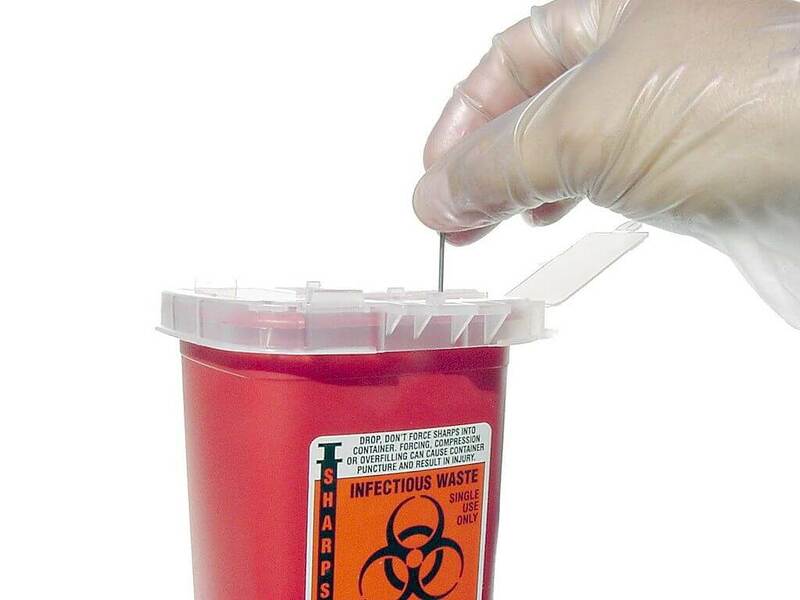 Wastes can include sharps (needs and sharp surgical tools like scalpels), laboratory materials, blood and blood products, and any waste whatsoever that comes from a patient who is in isolation because they are carrying an infectious disease. Chemical waste and other hazardous materials are also medical waste. You’ve seen the sharps containers on the walls of clinics, maybe in hotel rooms. There must be strict/// regulations and procedures, right? To understand the medical waste concern, you first have to know the history of the issue. In the late 1980s, several coasts of the United States had syringes wash up on their beaches. From this incident, the MWTA was created (Medical Waste Tracking Act). The MWTA was meant to implement standards for managing medical waste, but few states adopted the standards and it expired in the early 1990s anyhow. From then forward, each state was left responsible for its own medical waste and how it was handled and disposed of. Over the course of the following decades, the conversation continued as concern about the increased treatment of HIV and AIDS in clinics grew. One of the greatest accomplishments was OSHA’s blood-borne pathogen standards that required certain precautions of medical professionals such as wearing masks and gloves during certain procedures and when coming into contact with bodily fluids. This started important conversations about what materials were considered infectious and which were not. Over-all, after the blood-borne pathogens standards were put into place, more materials were considered infectious than ever before. This, organizations agree, is the very first place the medical waste management movement should begin; by properly classifying infectious wastes from other wastes. A very small percentage of hospital and clinic waste is actually ‘medical waste’. Most of it is actually trash, cardboard, plastic, food waste, etc. Perhaps this is the reason the medical waste issue has not been as big a deal as it should have been all these years. None too helpful is that fact that there is little documented cases of disease transmission from contact with medical waste. Wastes are classified in three categories: biological, chemical, and radioactive. Properly classifying the waste and then “deactivating” it in a corresponding way is an important step of keeping our populations and future generations safe. In 2002 there were 100 different methods and technologies that could make medical waste not hazardous to human and environment health. Popular treatments of waste include steam sterilization and incineration. Although standards have been put in place now by several acts and agencies including the Environmental Protection Agency, the Drug Enforcement Agency, the Nuclear Regulatory Commission, the Department of Transportation, the Clean Air and Water Acts, and the Resource Conservation and Recovery Act, the fact that there are hundreds of ways of disposing of the toxic waste and that there still has not been one conclusion between all these agencies and acts raises healthy concern. http://knoxvillewatertreatment.com/wp-content/uploads/2017/04/1024px-Sharps_Container.jpg 768 1024 Ivy Brooks http://knoxvillewatertreatment.com/wp-content/uploads/2016/10/KNoxville-Water-Treatment-Filter-Softern-Logo.png Ivy Brooks2017-04-06 21:03:052017-04-06 21:03:05Medical Waste in Our Water! ?